Ranked among the most popular holiday spots in the world, with a sublime view of the Mediterranean and the Aegean Sea, the Residences Mandarin Oriental Bodrum, under the Mandarin Hotel Group, include 96 magnificent villas and 116 most elegant residences. Offering tourists a dream holiday, Astas Holding, the developer of the site realizing the most prestigious projects, has redefined the spirit of a refined lifestyle and privileged hospitality. Designed by the illustrious Italian architect Antonio Citterio, the suites, the apartments and the villas, all nestled in an abundance of pine and olive trees, ecologically to the utmost, ensure to the vacationers or the owners caretaking services 24 hours a day,the comfort and luxury of an individual residence surrounded by nature. 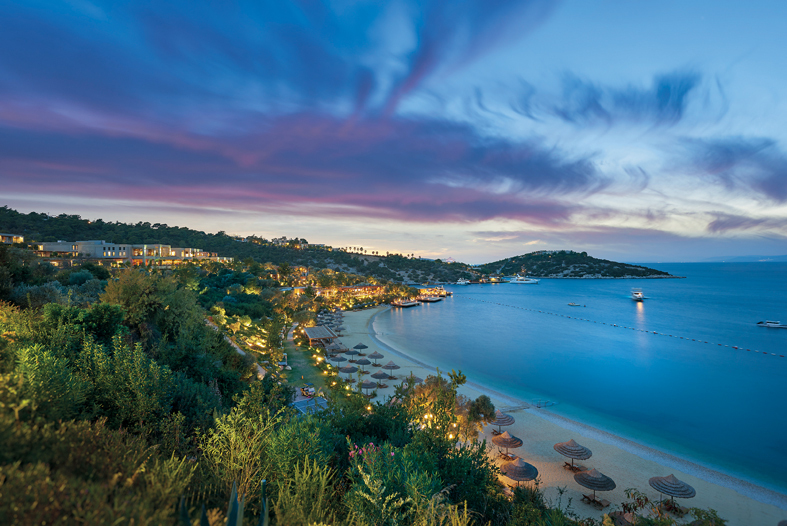 Deploying its splendor on a Paradise Bay, the Residences Mandarin Oriental Bodrum, a center of attraction and leisure on the Bodrum Peninsula, remains the favorite place of the international jet set in search of comfort and leisure. 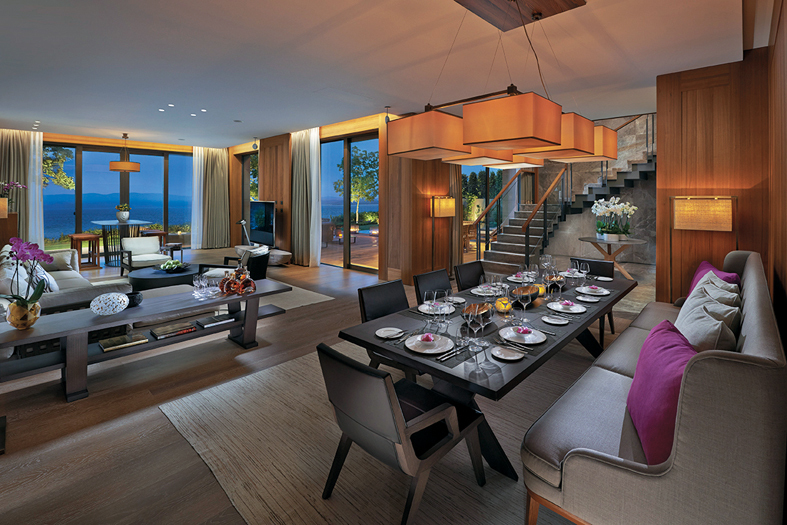 The 560, 640 and 760m2 villas provide a breathtaking view of the sea and are perfectly lit. They are designed to respect the privacy of the tenants and have an L-shaped exterior, as well as private pools, adorable wooden bridges to give the residents the pleasure of outdoor walks. Moreover, some of these luxurious villas, with 4 or 5 bedrooms, good rooms, spacious living rooms, and even a private guest suite with private terrace and separate entrance, attract by their modern, elegant, yet traditional architecture. 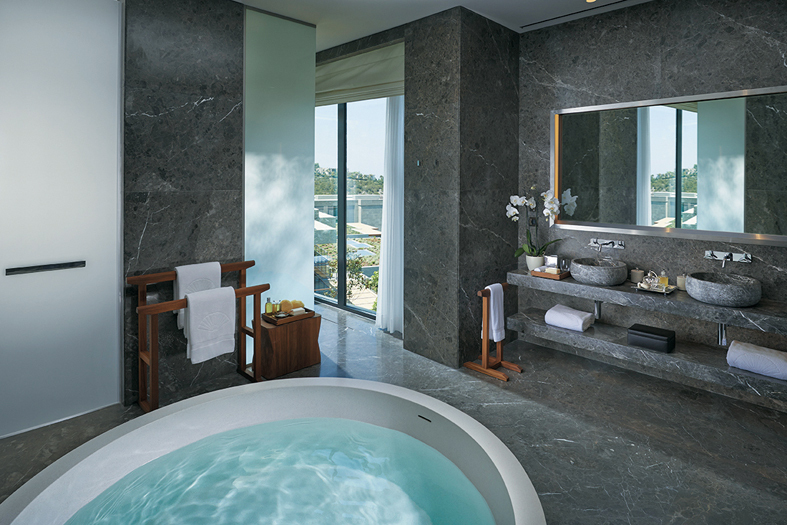 The apartments have gardens from 1000 to 3000m2 to enjoy the breathtaking views of the Aegean Sea. 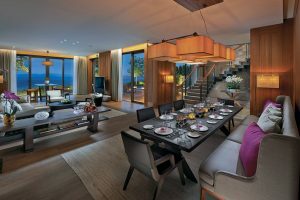 On the other hand, this magical site on the Bodrum Peninsula offers the owners of the villas access to a private beach and the award-winning Mandarin Oriental Bodrum Spa, which stretches over 2,700m2 not to forget the many restaurants. A genuine place of dreams and relaxation where you can breathe deeply, 5 minutes from the cosmopolitan Göltürkbükü, and just 45 minutes from the Milas-Bodrum International Airport.